The Asus G75 gaming laptop is now available for pre-order. The Asus G75 high-end gaming powerhouse is the newest laptop that will feature Intel’s third-generation Ivy Bridge processor, and you can preorder it now. An update to the Asus G74SX introduced last summer, the G75 upgrades the processor to a quad-core Intel Core i7-3610QM CPU at 2.3 GHz, which should bring improved battery life and much-desired graphics performance for this laptop from the Asus Republic of Gamers series. This means the G75 laptop will be one of the first with a chip based on NVidia’s new “Kepler” architecture. Kepler graphics chips in laptops should help preserve battery life and generate less heat. Otherwise, the G75 features the same modest, yet attractive all-black design and large 17.3-inch display as its predecessor. The G75 is a bit more luggable, however, than the G74SX, weighing 8.7 pounds compared to the G74’s 9.9 pounds. 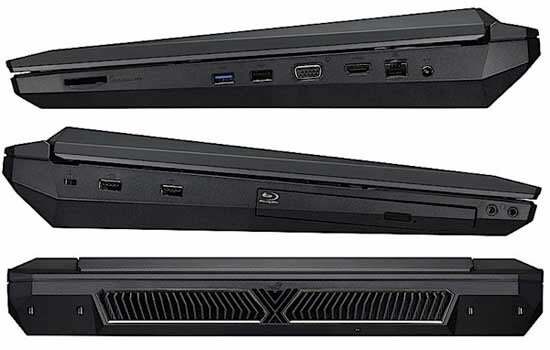 There’s no word on availability date, but with Ivy Bridge launch dates leaked for the end of April, we can expect the Asus G75 models to be available, hopefully, not long after.